The smartest wood stove you'll ever use. Easy Start-Up. Heating Powerhouse. Advanced Burn Technology. Elegant design. Large Viewing Area. Up to 12 Hours Burn Time. Cast Iron Craftsmanship. 40 lb. Hopper Capacity. Jam-Free Operation. 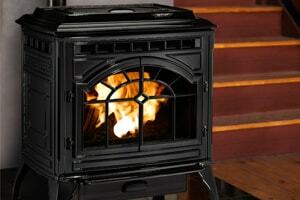 A stove is freestanding and offers a traditional and charming ambiance. 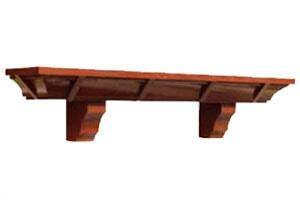 The fireplace is the focal point of any home. 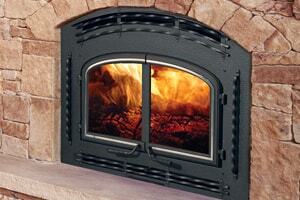 Quadra-Fire carries a wide variety of gas, wood and electric fireplaces. 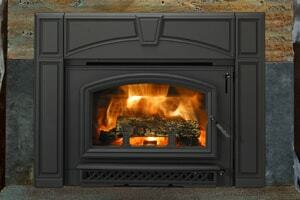 Personalize your Quadra-Fire fireplace with a mantel and fireplace surround. 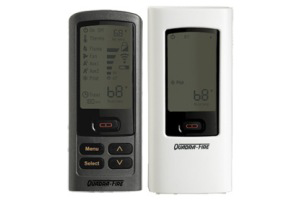 Enhance your hearth appliance with remote controls, thermostats, hearth pads and termination caps.